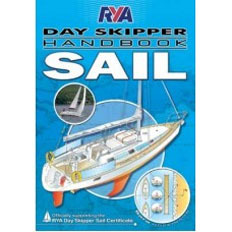 Recommended to RYA students taking training courses. A bright blue directional arrow prevents accidental reciprocal bearings and the edges are graduated for tide and boat speed. Fixed grid base helps plotting lat. and long. from GPS. Kit includes dividers with brass finish. 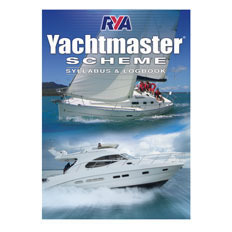 This new Syllabus and Logbook (G158) provides detailed information about the structure and content of the practical and shorebased courses for both sail and motor cruising with the RYA Yachtmaster Scheme. 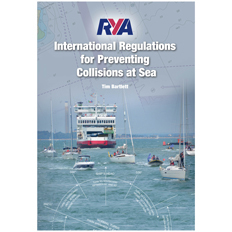 This book effectively combines, updates and replaces RYA Sail Cruising & Yachtmaster Scheme Syllabus and Logbook (G15) and RYA Motor Cruising & Yachtmaster Scheme Syllabus and Logbook (G18). It also allows students to record their passages and provides a repository for each of their RYA certificates. This is a revised edition of this title, originally printed in 1988, and last updated in 2003. 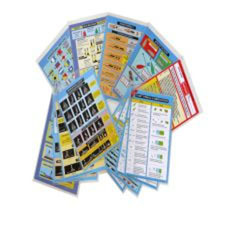 Awarded a ‘Recommended Product’ by Sailing Today Magazine this handy set of Cockpit Cards are full of useful information presented in a clear, crisp format of heavily encapsulated cards printed using light-fast ink. Recommended for all cruising boats. 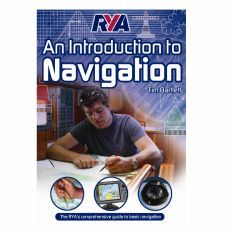 Whether you are studying navigation as part of an RYA course or just want to know more about the art of navigation, this book is highly recommended. The RYA has adapted its Dayskipper, Coastal skipper, and Yachtmaster courses to reflect the fact that many sailors and motor boats now regard electronic instruments as their principal means of navigation. This book gives equal weight to both electronic and traditional methods, through both the means of power and sail. 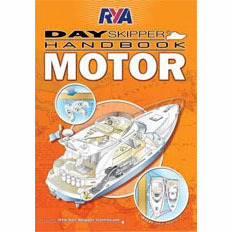 The RYA Day Skipper Handbook Motor is the new companion to the RYA Motor Cruising Day Skipper Course, continuing the RYA practical series of books that accompany the courses.The new Day Skipper Handbook Motor covers the elements of the course in simple illustrated steps. It is ideal as the practical guide to aid students on the course, or just as a stand-alone book to guide you through the practical elements of motor boating. 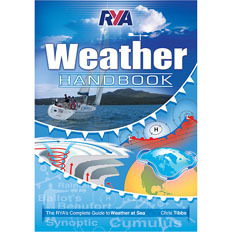 If you are doing an RYA course or are simply seeking to gain a greater understanding of the weather, this edition of the RYA Weather Handbook (which covers the Northern and Southern Hemispheres) is full of practical and useful information, on aspects such as theory, weather charts, clouds, predicting the wind, and the technology used in sourcing meteorological information. This edition provides more information than ever before about where to obtain forecasts, the growing use of technology in forecasting weather and obtaining up-to-date information and in particular monitoring the tell-tale signs around you for any indication that the weather may not be doing what was forecast. 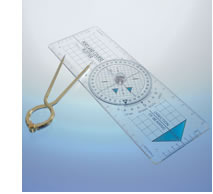 RYA An Introduction to Navigation is the latest in the RYA’s popular Navigation series. The book guides the reader through the basic steps of navigation so that they can learn to navigate successfully. 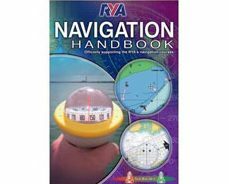 It is therefore an absolute must for everybody, whether studying for the RYA Essential Navigation and Seamanship, or merely looking to refresh their knowledge. 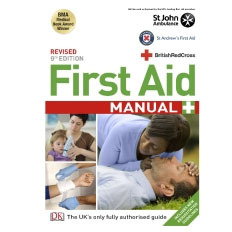 The latest edition of this best-selling manual, published in association with the UK’s three leading first-aid providers, St John’s Ambulance, St Andrew’s Ambulance Association and the British Red Cross, gives you the knowledge you need instantly if someone falls ill or gets hurt. Live-action step-by-step photographs show you how to treat casualties and over 100 medical conditions and injuries, from minor burns to heart attacks. Find information on the latest life-saving procedures and resuscitation guidelines as well as basic first aid techniques, like bandaging and applying dressings. 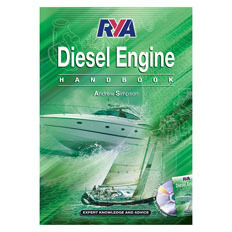 Written for leisure boat owners, the RYA Diesel Engine Handbook is essential reading for anyone doing the one-day RYA Diesel Engine Course. Includes a free DVD giving expert instruction and top tips from Nick Eales of Seastart. Easy to follow text and beautifully detailed colour illustrations enable the reader to develop the knowledge and confidence required by al diesel engine boat owners. 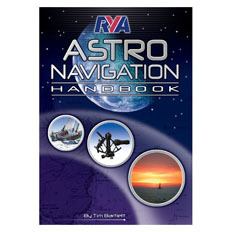 Something different to expand the RYA navigation series, Tim Bartlett’s RYA Astro Navigation Handbook delves into the ancient art of navigating by the moon and stars. Within the book, the reader will find a range of information from the basics of Astro navigation, right up to how to use the more complex formulas involved in the art. 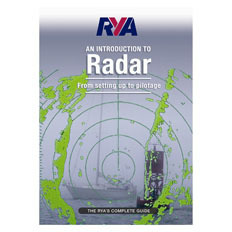 This book is an ideal progression from any basic navigation books. 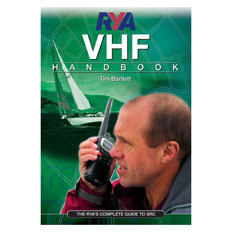 From the author of the best-selling RYA Navigation Handbook, Tim Bartlett, this brand new title details everything that sailors need to know about using VHF radios to contact coast guards and other boats. 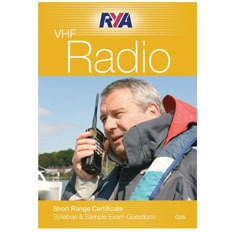 It explains how VHF works, the rules and regulations which govern it and the procedures that must be followed. This 3rd edition is ideal for anyone preparing for their VHF Operator’s Short Range Certificate (SRC) examination as it lists the syllabus and includes practice questions to help you prepare for the SRC written test. 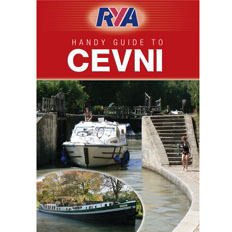 This is the RYA’s official title to support the CEVNI test to assist with the level of understanding needed to pass the test. 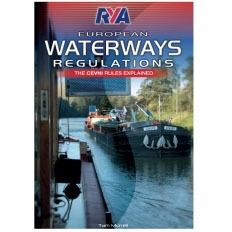 This new edition of RYA European Waterways Regulations has been fully updated and is essential reading for anyone taking the CEVNI qualification. The exciting new colourful format, with user-friendly text and illustrations, enables the reader to find information quickly – a perfect learning tool and reference. 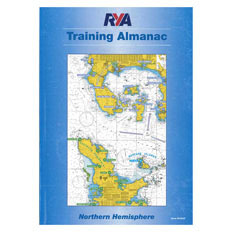 Updated RYA Training Almanac, containing practice navigation tables. Buy separately or in a pack with training charts 3 and 4. 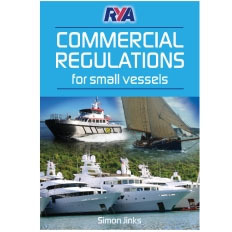 The book is designed to accompany the new RYA’s Professional Practices and Responsibilities course and is written by Simon Jinks, a former RYA Chief Cruising Instructor and an acknowledged authority in the field of small vessel training and safety management. 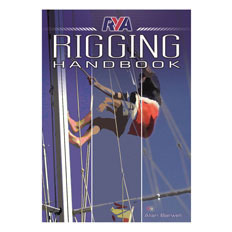 This publication aims to change that by splicing together a whole range of little known gems about rigging allowing the reader to fully get into the heart of this frequently overlooked subject. 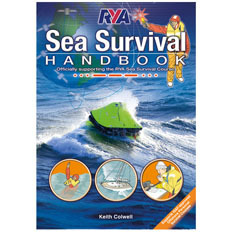 This book is the official text for the RYA Basic Sea Survival Course and the RYA/ISAF Offshore Safety Course and supports ISAF approved Offshore Personal Survival courses. It also highlights the importance of having the correct safety equipment and will also give you the knowledge of how and when to use it, making it invaluable for anyone who takes a boat offshore for racing or cruising. This new edition has also been updated to include the syllabus for the ISAF Offshore Personal Survival Course and the latest information on sea survival. It is divided into two parts so that it more closely matches the syllabi of the two courses and supports other ISAF approved Offshore Personal Survival courses. For each item purchased there will be a charge of between £1.40 and £1.90, depending upon weight, to cover the cost of postage within the UK. There will be an additional charge for postage to destinations outside of the UK.